1. User configures the app by entering Freshdesk API key, Subdomain, Google Oauth credentials etc. 2. 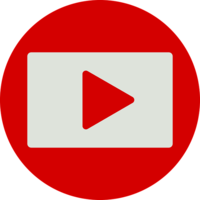 User adds the Youtube video or a channel for fetching the comments. 3. User sets time interval for fetching the comments and enables the app. 4. For every user defined time interval comments are fetched any tickets are created. 5. 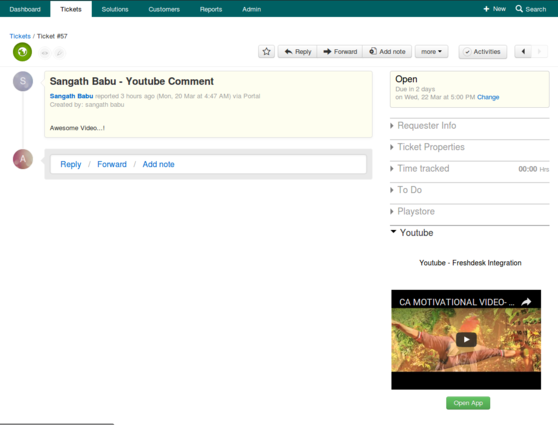 Every reply to the comment in Youtube are added as a reply in Freshdesk under the same ticket. 6. User can reply to the comment by adding a reply in Freshdesk. 1. Go to Admin → Apps → Get More Apps → Youtube - Freshdesk. 1. Go to Admin → Apps → Youtube-Freshdesk → Uninstall. Note : Before Uninstalling the app Log in to your account by clicking 'Open App' button in the youtube app and Click 'Delete Account' button shown in the bottom of your dashboard. For more details on the App uninstall please check the above link.